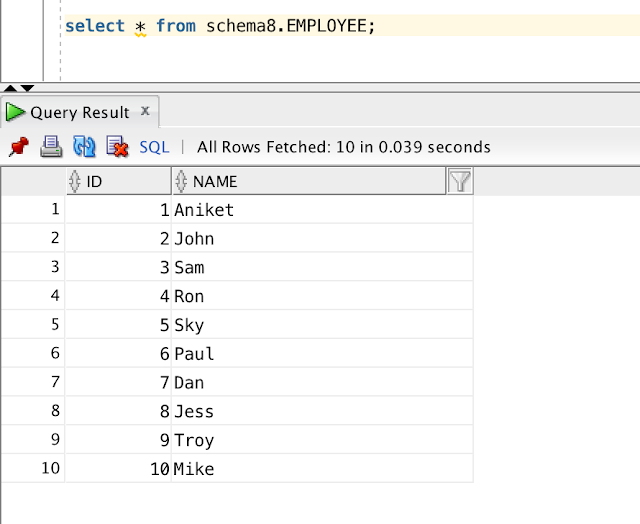 EMPLOYEE table has employee id which is a primary key and his name. EMPLOYEE_SALARY has employee id which is foreign key to id in EMPLOYEE table. This table has employee department and salary. 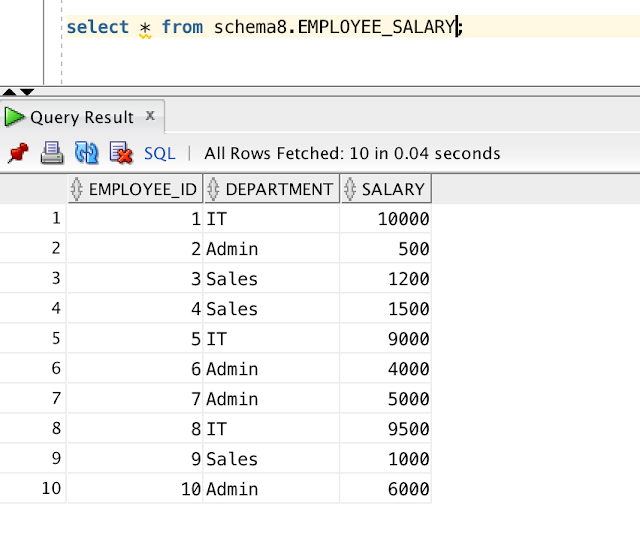 You need to write a query that returns top 2 employees from each department that has highest salary. First we have done a left outer join so that we capture all employee records with their respective salaries and departments. In outer query we have ranked it based on their salaries in respective department. Finally we select all records that have rank <=2 i.e top 2 records.